Carved wood crucifix, hand painted, available in various measures. 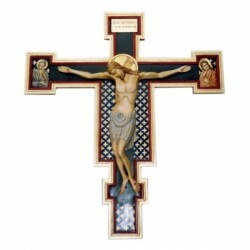 Carved wood crucifix, hand painted by skilled sculptors with engravings. It will be available in 20/30 days in various measures. 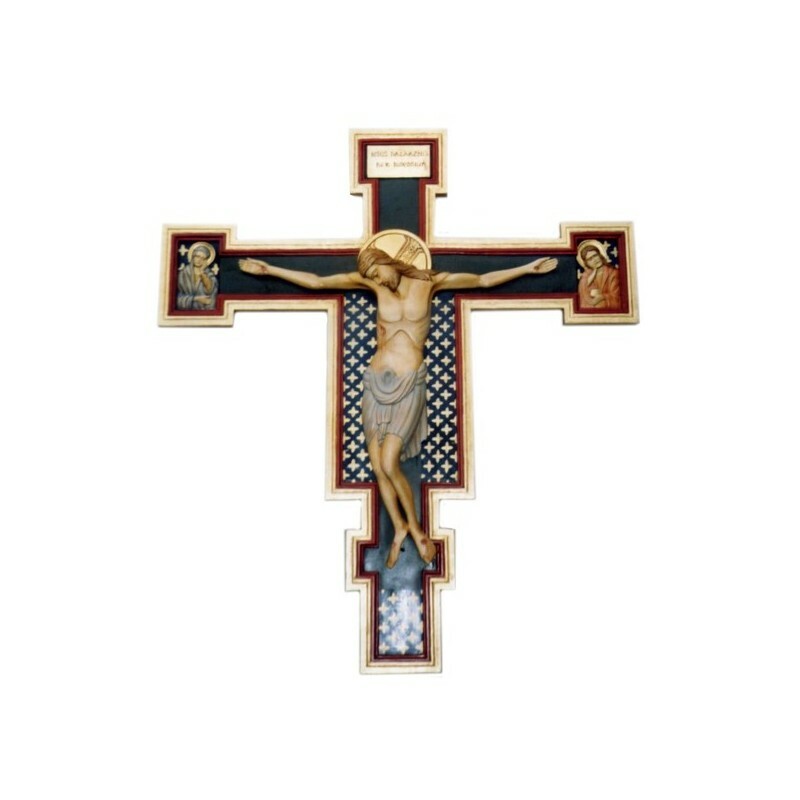 The work of Cimabue "The Crucifix of the Holy Cross" was built in 1272-1288 around the basilica of Santa Croce in Florence, where he still is preserved. 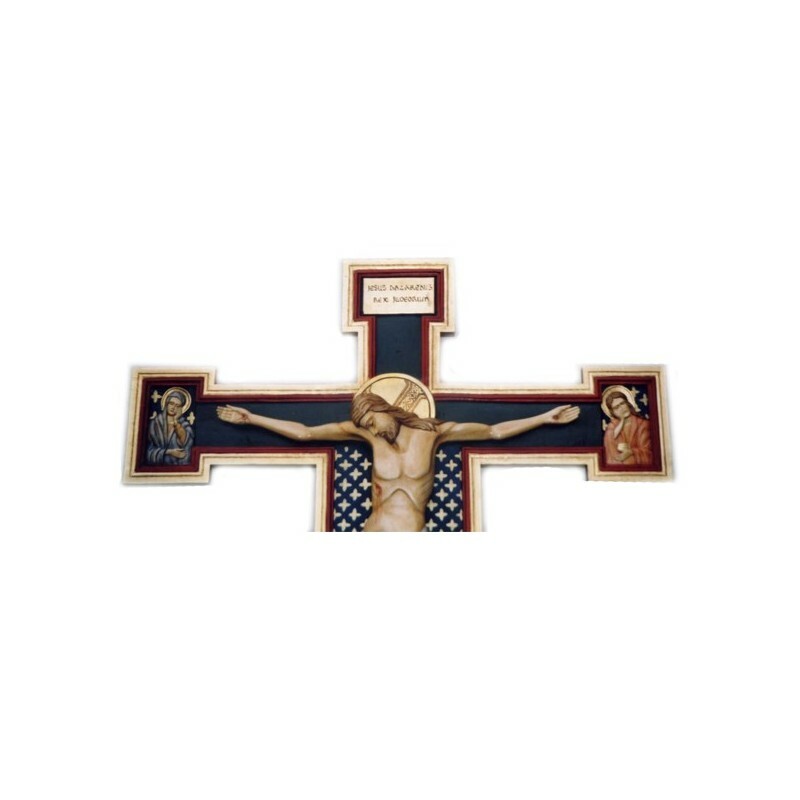 Sees Christ inclined painfully in laying glorious, but weeping and in the terminals of the Cross are painted the Virgin Mary and St. John the half-length. Unfortunately with the flood in Florence in 1966, the work was partially destroyed by the water that broke off a large part of the painted surface. It was restored with great care, despite this the painted surface appears lost in many portions.